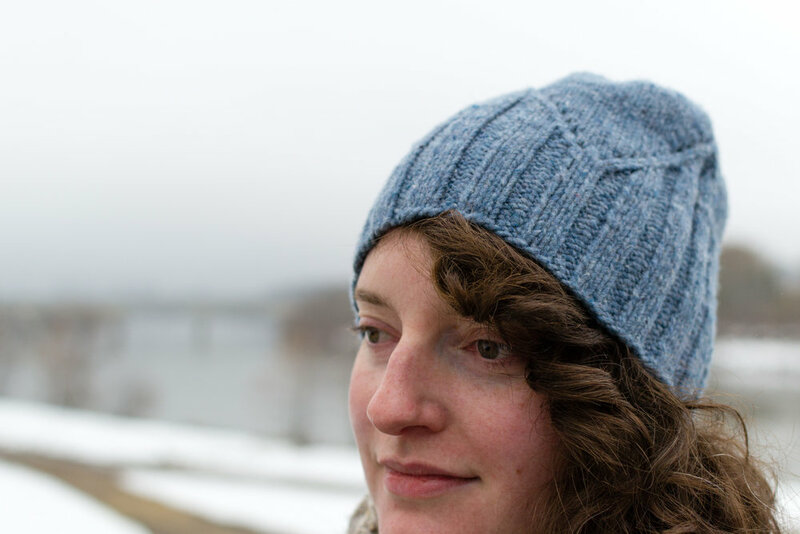 This hat is a fun, quick knit, and the triangle mountain pattern is easy to follow and looks so great when it is finished. One of Kalea's close friends did some yarn tourism while in Scotland and brought her back a skein of hand dyed green, hand spun yarn. As soon as she held it in her hands she knew it needed to be triangles. As she started knitting the hat with it, she noticed that the feel of the hand spun yarn from Scotland reminded her of the yarn she is making from Alberta fibres. Kalea's practice of using local fibre and using natural dyes is reflected in the yarn she received as a gift; it was made in Scotland from their local fibres and dyed with natural dyes. Once she had finished the hat from the Scottish yarn, she spun some of her own yarn to make the pattern sample. You can come on down to the shop to see Kalea's beautiful work in person and get a printed copy of the pattern, or head to Ravelry or Etsy to get a digital copy. See you soon, and happy knitting!